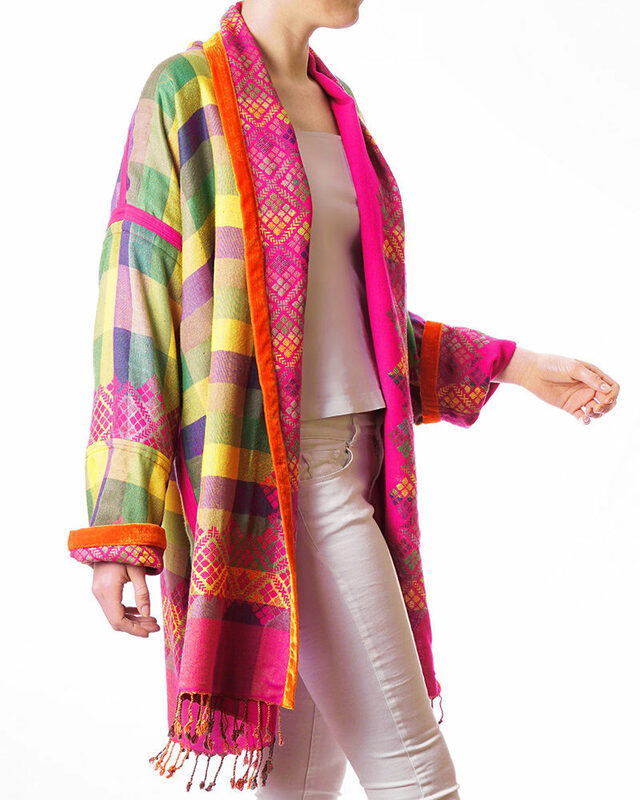 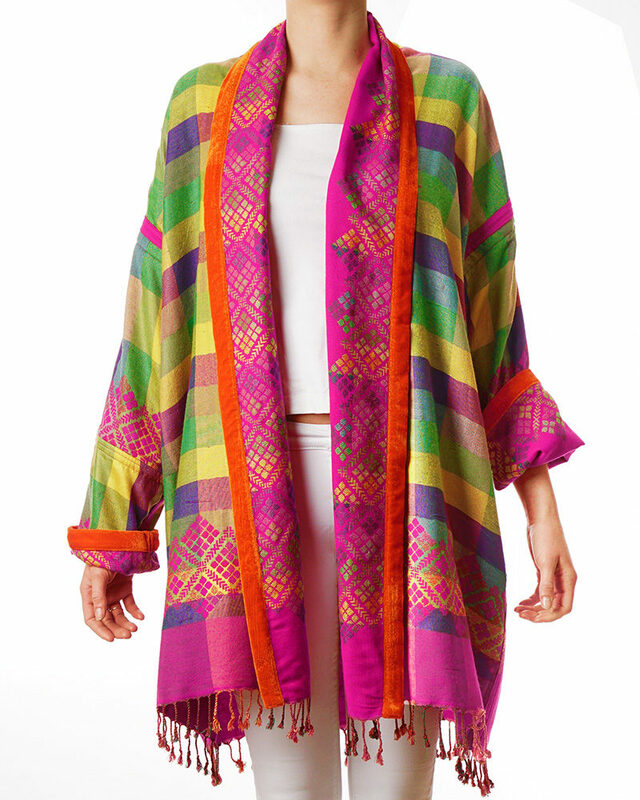 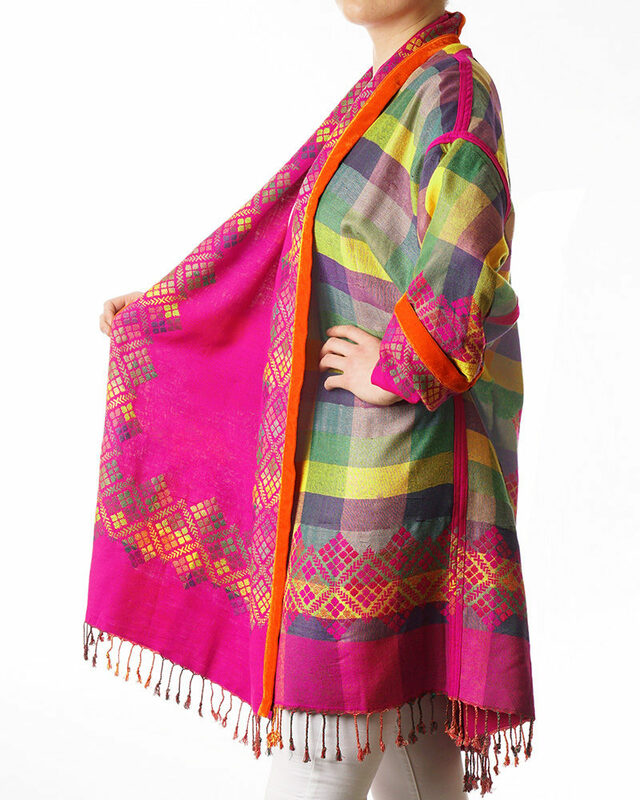 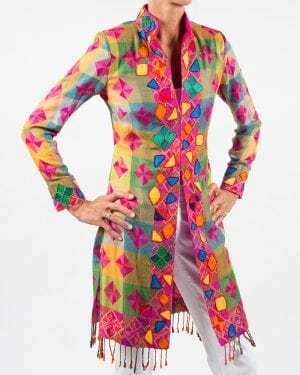 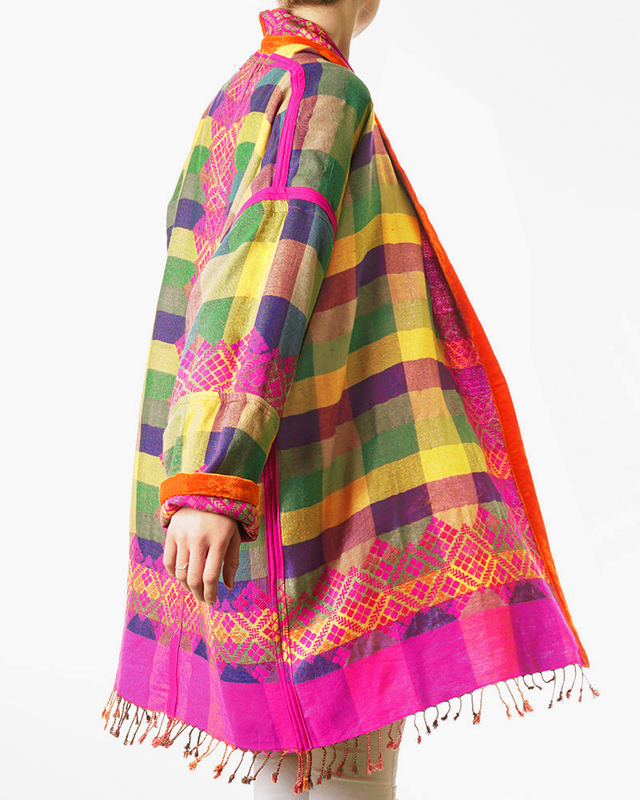 Reversible Brenda throw-on Jacket in pink/multicoloured paisley shawl. 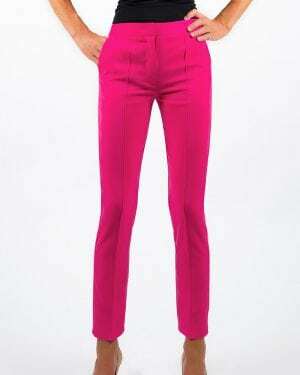 Orange velvet trim around cuffs and down the front. 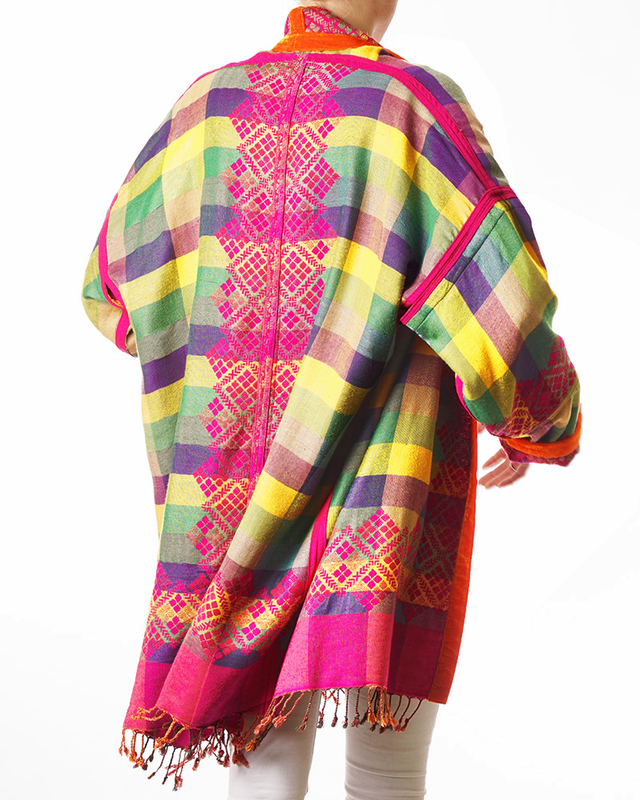 Fringed at the bottom. 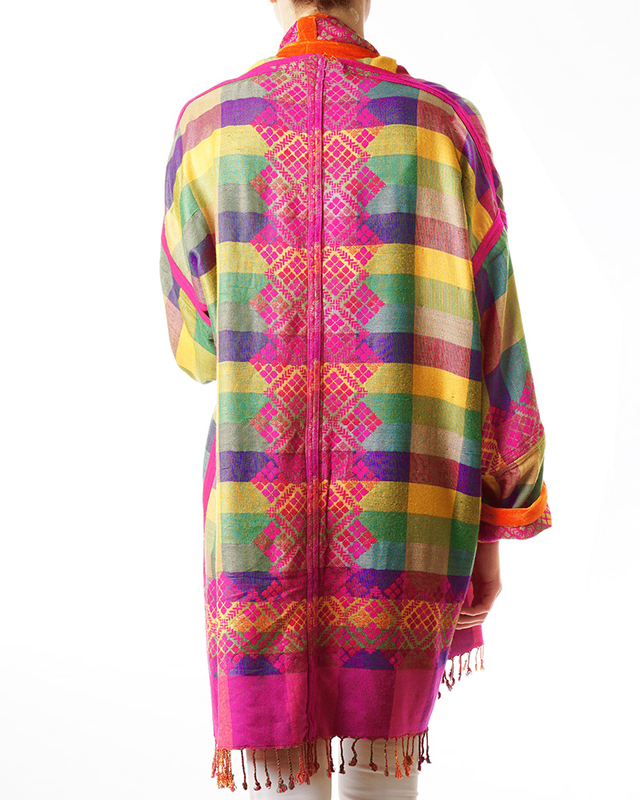 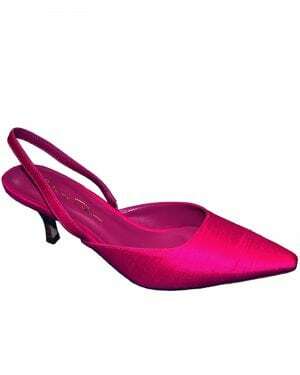 The reversible side is mainly pink with multi-coloured details.